“This is the 11th no-bedbug-bite-day since starting to sleep inside my new SansBug tent. Previously I was being bitten daily or every other day. 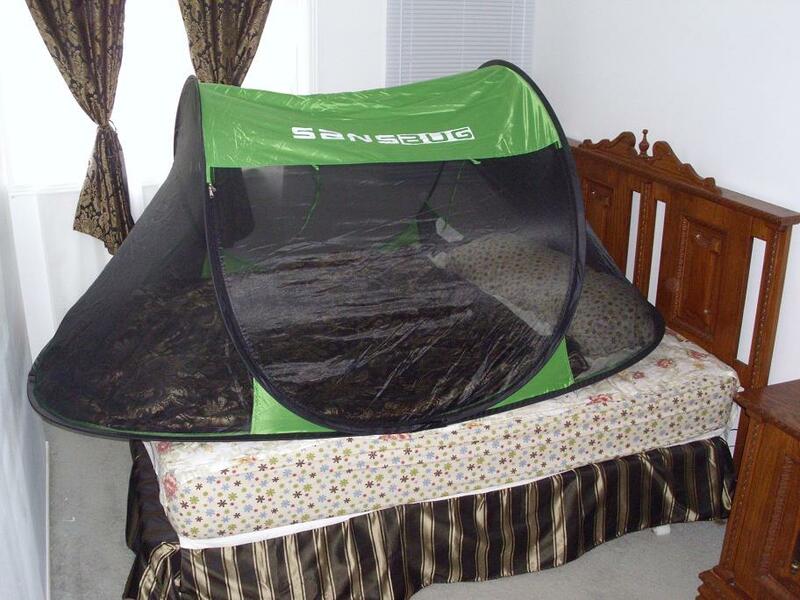 So I feel fairly sure of my ground when I say that I believe that bedbugs cannot enter a zipped-up SansBug tent. The thing that takes up my time is making sure I don’t take bedbugs into the SansBug myself! They can hide in the seams of clothing and are very small, especially in the early life-cycle stages. So for bedbugs, you have to treat the SansBug much like nurses and surgeons treat an operating theater – do not enter it unless you have tried to make sure you are free of ‘bugs’. Anything I wear in bed or cover myself with only goes inside the SansBug after laundering above 40C, ideally 50C. And then it stays in there with the zip closed – until it comes out for re-laundering. I only open the zip when I need to; I never leave it open. So now the SansBug is a bedbug-free-zone. If you leave the zip open or enter the SansBug wearing your street clothes, you are asking for trouble.